Human Rights Indicators: A Guide to Measurement and Implementation aims to assist in developing quantitative and qualitative indicators to measure progress in the implementation of international human rights norms and principles. It describes the conceptual and methodological framework for human rights indicators recommended by international and national human rights mechanisms and used by a growing number of governmental and non-governmental actors. It provides concrete examples of indicators identified for a number of human rights—all originating from the Universal Declaration of Human Rights—and other practical tools and illustrations, to support the realization of human rights at all levels. The Guide will be of interest to human rights advocates as well as policymakers, development practitioners, statisticians and others who are working to make human rights a reality for all. In Northern Europe almost half of households consist of one person. Rates of living alone are lower in the Global South but the trend is still on the increase. Prevalent first among the elderly, living alone then becomes common at ages associated with partners and children. Fears about the end of family and community combine with stereotypes, the ‘sad and lonely’ or ‘selfish singles’, in popular depictions. This groundbreaking and highly original study brings evidence to the core debates about contemporary social change in the context of globalization, exploring individualization and social connection, the future of family formation, consumption and identities, the relevance of place – rural or urban – in mobile worlds, sexuality, belonging and ‘community’, living arrangements and sustainability. This book presents a systematic sociological analysis of the growing trend of solo living across the globe, while also drawing on the voices of working-age men and women living in urban and rural areas in the UK. This report provides a comprehensive overview of key aspects of population policies and dynamics for 196 countries since the mid-1970s. Updated biennially, it documents changes in more than 40 aspects of Government views and policies related to population size and growth, population age structure, fertility, reproductive health and family planning, health and mortality, spatial distribution and internal migration, and international migration. The report also includes two-page country profiles, with the first page containing information on changes in the Government views and policies and the second page containing data on selected population indicators corresponding to the timing of three major international population conferences from mid-1970s to mid-1990s and for 2011, the most recent revision year. This bibliography is the second edition to be published by the UNICTR legal Library and Reference. It continue to show how the ICTR inspired researchers. Only for this edition, 200 titles will be added including books, articles from legal journals, comments and summaries regarding cases, unpublished theses and other relevant titles. The product will serve as a reference tool in locating resources written in the work of the Tribunal. Nonstate Actors in Intrastate Conflicts takes an interdisciplinary approach to understanding the ways external individuals and groups become entangled with volatile states and how they influence the outcome of hostilities within a country’s borders. Editors Dan Miodownik and Oren Barak bring together top scholars to examine case studies in Afghanistan, Lebanon, Israel/Palestine, and Turkey in order to explore the manifold roles of external nonstate actors. By shedding light on these overlooked participants—whose causes and consequences can turn the tide of war—Nonstate Actors in Intrastate Conflicts provides a critical new perspective on the development and neutralization of civil war and ethnic violence. Contributors: Oren Barak, Chanan Cohen, Robert A. Fitchette, Orit Gazit, Gallia Lindenstrauss, Nava Löwenheim, David Malet, Dan Miodownik, Maayan Mor, Avraham Sela, Gabriel (Gabi) Sheffer, Omer Yair. The book is based on an original study that was undertaken by IARS between 2012 and 2013 with funding from Comic Relief. Through user-led research methods, the book aims to provide much needed evidence on the experiences of refugee and asylum seeking women who have been victims of abuse and power. The locus is London and the service areas that were investigated were health and legal. The findings are staggering and timely. The book also proceeds with a number of evidence-based solutions for government and its services, which have recently been extremely reactionary and political in their immigration policies. By Greg Philo, Emma Briant, Pauline Donald. Bad News for Refugees analyses the political, economic and environmental contexts of migration and looks specifically at how refugees and asylum seekers have been stigmatised in political rhetoric and in media coverage. Through forensic research it shows how hysterical and inaccurate media accounts act to legitimise political action which can have terrible consequences both on the lives of refugees and also on established migrant communities. Based on new research by the renowned Glasgow Media Group, Bad News for Refugees is essential reading for those concerned with the negative effects of media on public understanding and for the safety of vulnerable groups and communities in our society. Black Star documents the vibrant Asian Youth Movements in 1970s and 80s Britain who struggled against the racism of the street and the state. Anandi Ramamurthy shows how they drew inspiration from Black Power movements as well as anti-imperialist and workers’ struggles across the globe. Drawing on her intimate knowledge and extensive research, Ramamurthy shows how the struggle to make Britain ‘home’ led to a broad-based identity where ‘black’ was a political colour inspiring unity amongst all those struggling against racism. Ramamurthy documents how by the late 1980s this broad based black identity disintegrated as Islamophobia became a new form of racism. In the process the legacy of the Asian Youth Movements has been largely hidden. Black Star retrieves this history and demonstrates its importance for political struggles today. The International Handbook on Gender, Migration and Transnationalism represents a state-of-the-art review of the critical importance of the links between gender and migration in a globalising world. It draws on original, largely field-based contributions by authors across a range of disciplinary provenances worldwide. The chapters of this interdisciplinary Handbook maintain an introductory level of discussion on migration research methods, and also provide readers with references necessary for those wishing to go deeper into the topic. Covering both qualitative and quantitative topics, the expert contributors explore fundamental issues of scientific logic, methodology and methods to practical applications of different techniques and approaches in migration research. Published by Princeton University Press. 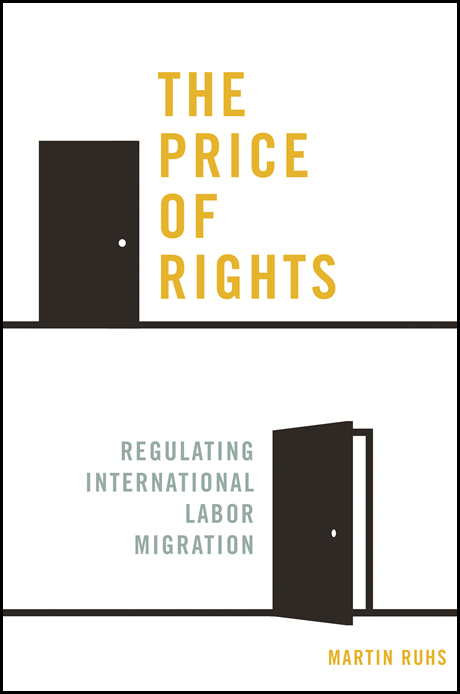 Martin Ruhs analyzes how high-income countries restrict the rights of migrant workers as part of their labor immigration policies and discusses the implications for global debates about regulating labor migration and protecting migrants. The book discusses the tensions between human rights and citizenship rights, the agency and interests of migrants and states, and the determinants and ethics of labor immigration policies. The Jews of Exeter: An Illustrated History. In 2013 Exeter Synagogue reached an historic landmark with the celebration of its 250th anniversary. As the second oldest extant synagogue outside London it has a rich history that stretches back to the early 18th century. Evidence exists too for a much older Medieval worshipping Jewish community in Exeter, before their expulsion from England in 1290. By the mid-eighteenth century Exeter possessed a viable Jewish community along with Plymouth, Falmouth and Penzance in the South West, and looked to the future. During this period the four communities all acquired a burial ground and constructed their own purpose-built synagogue. In Plymouth the synagogue is still in use as a place of worship, built a year before Exeter in 1762, and it also has two burial grounds. The Jews of Exeter is the first fully illustrated history on this subject. It opens a window on to Exeter’s Jewish history throughout the centuries: from periods of birth and growth to decline and revival. It focuses on the personalities and figures who shaped the community and who kept the beautiful Georgian synagogue going through difficult eras as well as times of expansion and renewal. Exeter’s gem of a purposebuilt synagogue which dates to 1763 is now a Grade II listed building and is hugely significant in terms of Britain’s wider heritage. The old Jewish burial ground in Magdalen Street on the edge of Bull Meadow was acquired in 1757, and included in this book for the first time is a full list of those buried in the two Exeter Jewish cemeteries, thus providing important information both for genealogists and family historians. Over a period of two and a half centuries the Jews of Exeter have contributed significantly to the wider Devon and Exeter community, including aspects of commerce, business, the arts, politics and civic life. This book will highlight the importance of preserving this unique history and heritage for posterity. (forced) migration at the global level and of the multiple factors associated with refugee crises – the interplay of economic, political, social, cultural, and environment pressures which stimulate the search for asylum. The MA in Refugee Studies enables students to examine forced migration as a global phenomenon. It familiarises students with the relevant theories in the fields of (forced) migration studies, law, sociology, anthropology, psycho-social and cultural studies. The course equips students with advanced skills in interdisciplinary analysis and research, and enhances their career prospects and development. The programme acknowledges that forced migrants confront major obstacles in their attempt to find sanctuary. Although the majority of refugees are in countries of the developing world, structures of exclusion are most fully developed in the post-industrial societies, notably within Europe. The programme highlights problems associated with limitations of asylum rights in the European states and the climate of hostility towards refugees from countries outside Western Europe. The programme considers alternative, positive, approaches to asylum rights. UEL’s innovative new MA in Refugee Studies and Community Development focuses on the increasingly important and highly relevant area of social care and refugees, and the communities to which they belong. Drawing on elements of our successful programmes in Refugee Studies and International Social Work, the MA offers a unique programme that builds on UEL’s expertise in this important field. The programme examines key issues in the field of refugee studies and the communities in which refugees live. Our unique programme in Refugee Studies and Community Development uses a multi-disciplinary approach, with insights from politics, international relations, development studies, sociology, anthropology, social policy, psychology, and cultural and legal theory. It examines key issues concerning forced migration, as well as social, cultural, political, legal and psycho-social aspects of settlement and community development, with special reference to refugee communities in East London, as an important historic place of settlement. (forced) migration and diasporic studies; ethnicity; social, psycho-social and cultural theory; legal studies; and social policy. The programmes will also interest those professionally concerned with human rights; legal representation of refugees; counselling; education; social and community issues; and refugee welfare. They will assist those who wish to enter employment in these fields. The Refugee Council Archive at the UEL is one of the largest collections of materials on refugees and forced migration. It is a source of information and analysis on displacement, flight and exile; on legal, political and social issues; and on refugee community life. The Archive contains materials on refugees in all parts of the world, with special emphasis on Britain. For over 30 years it was housed at the Refugee Council, the lead organisation in Britain on refugee issues. In 2002 the Archive was moved to the UEL’s Docklands Campus, where it is maintained and developed by the two MA Programmes. It serves students, academics, researchers, policy makers, agencies and community groups, and in particular refugees, for whom access to dedicated materials on forced migration is often difficult. In addition to having well established links with universities and research centres in Britain and abroad, the two MA Programmes have close relations with numerous national and local agencies and refugee organisations, based on which they operates an internship programme with a range of organisations. These provide an excellent opportunity for students to acquire hands-on work experience in their field of studies, and enhance their employment prospects. The two MA Programmes attracts students of diverse origins and experiences, including refugees, from Africa, Asia, the Middle East, South-East Asia, the Americas, Western and Eastern Europe. They bring together academics and those who work professionally in the refugee field, including teachers, counsellors, welfare workers, legal advisers and community workers. Such diversity encourages productive exchange of ideas and enhances the learning environment. Among sponsors of students on the programme are leading human rights organisations, refugee support bodies, overseas development organisations, academic study centres, law firms, local authorities, colleges and schools, race equality and equal opportunities committees, charities and aid groups, as well as refugee community organisations. Option modules include specialist options on social, cultural, political, legal and psychosocial aspects of refugee studies and community development. The two MA Programmes develop general conceptual and analytical abilities, as well as research skills. They enhance generic skills which are appropriate to both further academic research and professional employment. The MA in Refugee Studies Programme provides a theoretical and practical grounding for those who wish to advance academic work and progress to doctoral research in the fields of migration; diasporic and ethnic studies; legal studies; as well as in social and cultural theory. It also prepares students for employment in areas related to refugee and migration issues, notably in the fields of immigration and asylum law, advocacy, education, health and employment, as well as local government.. The MA in Refugee Studies and Community Development will appeal to professionals and practitioners interested in refugees and community development, both locally and internationally. Graduates could expect to work in non-governmental organisations, social service departments, and local and international charities. or contact Diane Ball, Programmes’ Administrator, D.M.Ball@uel.ac.uk or +44(0)20 8223 2770. UEL rated in the top five of the modern universities for research by the Guardian, is a dynamic and vibrant university offering a wide range of courses and programme to over 19, 000 students. Our diverse and innovative learning environment has seen UEL become one of the most multicultural and forward thinking universities in London. UEL’s School of Law and Social Sciences (LSS) offers a wide range of interdisciplinary programmes covering a wide range of research interests, including Refugee Studies and related fields. Drawing upon the law and social sciences it creates a vibrant academic and intellectual environment. The School is based at the University of East London’s new Stratford and Docklands Campuses – one of the greatest metropolitan areas of Europe. Journal of Refugee Studies – Advanced Access. Refugee studies are often said to be a product of the policy world, shaped by global power relations and in particular by the interests of the global north. This article attempts to refine this view by exploring the relationship between refugees and forced migration as ‘real world’ phenomena and refugee or forced migration studies as a field of enquiry. The article takes two upheavals—the collapse of communist regimes in 1989–1991 and the financial and economic crisis of 2008–2011—to mark out or ‘bookend’ a period of about two decades during which we may track migration crises and upheavals of varying magnitudes and depth, and relate these developments to the unfolding of refugee or forced migration studies. Taking issue with some commentators’ views about the relationship between ‘real world’ forced migration and the development of forced migration studies as an analytical field, the article addresses the relations among three types of thinking: social science understandings of refugees and forced migration; thinking about refugees and forced migration in the world of policy and practice; and popular or everyday thinking about refugees. Concepts travel among these spheres of thinking and are shaped and transformed en route. Subject to power relations like other forms of knowledge, social science research on forced migration may influence both popular and governmental thinking as much as policy categories shape forced migration research. (Source: Forced Migration Current Awareness Blog). Classical Diasporas of the Third Kind: The Hidden History of Christian Dispersion. [Abstract]. Human Agency and the Meaning of Informed Consent: Reflections on Research with Refugees. [Abstract]. ‘People Look at Us, the Way We Dress, and They Think We’re Gangsters’: Bonds, Bridges, Gangs and Refugees: A Qualitative Study of Inter-Cultural Social Capital in Glasgow. [Abstract]. Ambiguous Expectations and Reduced Confidence: Experience of Somali Refugees Encountering Swedish Health Care. [Abstract]. (Source: EoE AS&R/MW Newsflash 13-17 June 2011). This new report from the Migration Policy Institute looks at how to deliver host-country language skills which are necessary for success in the workplace. Useful background for those of us involved in ESOL provision. Women’s leadership in camps for internally displaced people in Darfur, western Sudan. By Devanna De La Puente. Whispering truth to power: The everyday resistance of Rwandan peasants to post-genocide reconciliation. By Susan Thomson. A Double Bind: Malta and the Rescue of Unwanted Migrants at Sea, a Legal Anthropological Perspective on the Humanitarian Law of the Se. By Silja Klepp.